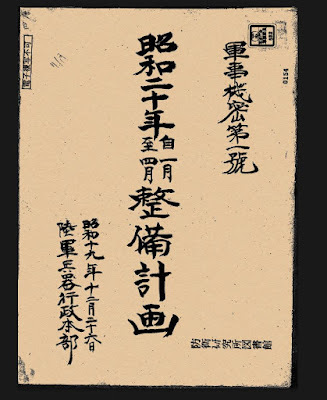 As of recently, I've gone through the Japanese National Archive files, looking through to find documents that relate to my studies. While I was there, I stumbled across something that caught my interest. Of said documents, the one of most importance was a file called "Military Secrets No.1". The reports were held by the Ministry of Defense, Army records section, Munitions Mobilization district. Contained in these files were a 3-page production chart of late war tracked vehicles of the Japanese army. Located within the chart I found a number besides the Type 5 Ho-Ri tank destroyer. A vehicle that until recently was only known to have made it to wooden mockup stages. In this lengthy article I will cover my findings on the tank project. Unfortunately visual representations of the tank are still being looked at. So I will use existing found sources for this. National Institute for Defense Studies " Military secret No.1 "
In September of 1942, the Japanese Army Staff came to the realization that they had no choice but to design a series of tanks to compete with the arrival of the American Sherman tank. Three concepts were proposed by the Staff, each with their own gun selection; Kou (47mm), Otsu (57mm), and Hei (75mm). As combat data filtered back to Japanese high command, the model Kou concept would later merge with Otsu concept, becoming the basis for the design of the Type4 Chi-To. The Hei proposal would eventually lead to the development of the Type5 Chi-Ri. Additional impetus for new development projects came from a change in the Weapons Administration Headquarters Research Policy in July 1943, a change which was made as a result of analyzing and examining the situation of the tank warfare between the German army and the Soviet Union. Through analysis of this data, the Army's tank doctrine shifted to an emphasis on developing tanks which prioritized the anti-armor mission instead of prioritizing infantry support with limited anti-tank capability. Upon the promulgation of this policy, the Japanese Army decided to develop a series of tank destroyers alongside the medium tanks being designed. As a result, the Type5 Chi-Ri, Japan’s primary medium-tank project, would become the basis for a new anti-armor vehicle. This was a natural choice for IJA command; the Chi-Ri project was more mature. Additionally, it held the most advanced technology Japan produced at the time, technology which would become ubiquitous in the designs that would be made until Japan's defeat in 1945. Testing model of Chi-Ri. Used to trial the series of cannons and turrets designed for the tank. In the photograph it is captured by US forces after the gun had been dismantled for further trials. By Japan's defeat in 1945, three models of Chi-Ri entered production. The tank destroyer built upon the chassis of the Chi-Ri would eventually be called the Ho-Ri. Development of this vehicle began shortly after the development of the Chi-Ri, when it had been decided that the tank would use the coil spring suspension system that Japanese manufacturers were already familiar with. After this decision was made, the Army also began work on designing the tank destroyer’s superstructure and casemate. The first design the Army came up with mimicked the Chi-Ri chassis entirely, though the turret was replaced with a reinforced rear-mounted superstructure. With the development of a new series of tank destroyers taking place, the Army decided to design and produce a new high capacity anti-tank gun to fit the role. On July 22 of 1943, the Army Military Customs Council began designing a 105mm caliber anti-tank gun. 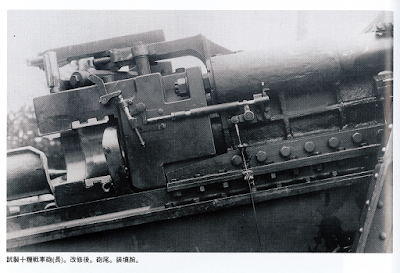 Once the design of the cannon had been completed, construction of the cannon took place around a steel shielding that was to be the Ho-Ri's superstructure plating. The trial placement was capable of traversing 10 degrees to the left and the right, elevating by 20 degrees, and depressing by 15. The gun weighed 4.7 tons, with a barrel length of 5.759 m.
and achieved a performance of 150mm penetration at a distance of 1000 meters. Photograph of the Experimental 10cm Anti tank cannon during trials. Note: The shield and protector are used on Ho-Ri prototype. Gun was first tested separately and then placed in tank prototype. The 10cm Experimental Anti Tank gun relied on a system similar to the Type5 75mm Anti tank cannon in relying on an autoloading mechanism for the tank. This mechanism was known as a semi-automatic loading system, different to the ordinary "autoloader" you see in other vehicles. 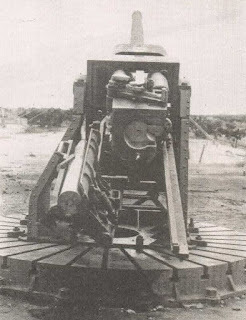 Unlike the typical autoloading system, the loading crew of the gun system placed the individual shells on the chamber, the system automatically ramming the shell into the breech and forwarding to operation. This gave the effect of automating half the loading routine, as the name suggests. The Experimental 10cm was put into service with the Ho-Ri in 1945. The technical name for the model to be used on the prospective production model was known as the Type5 10cm anti tank cannon. 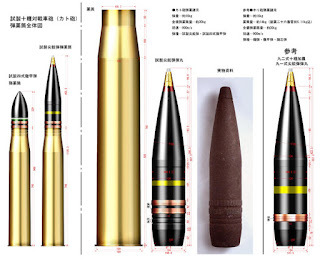 Shells of the Type5 10cm. The shell rammer used a horizontal chain closing type, and the automatic loading machine was attached to the back of the gun. It was used because loading ammunition of 123 cm total length and 30 kg weight was deemed too strenuous on a small Japanese physique. Various artillery parts had been diverted and referred to in order to shorten the time of development. The autoloading machine adopted the mechanism of the Type3 12 cm AA Gun for inspiration. The automatic loading mechanism was a continual source of problems, but was repeatedly refurbished to eliminate the drawbacks. 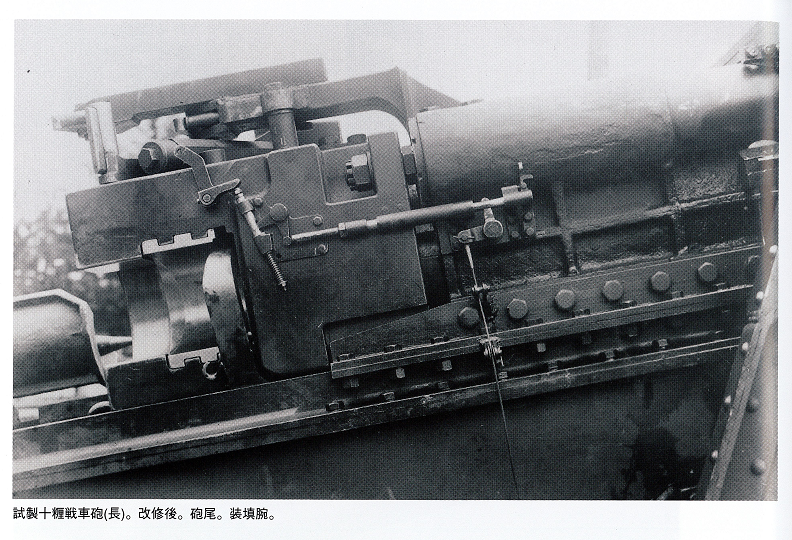 Originally, the Ho-Ri was to keep the secondary 37mm that had been mounted on the Chi-Ri design. The reason for this addition was due to the limited gun-traverse on casemate tank destroyers. Additionally, the primary cannon could only do so much for itself. Hence, to combat many anti tank threats which the Americans could have dedicated to the assault on Japan, the 37mm was seen as being an efficient method of providing additional firepower against infantry and combat vehicles. To this end, the 37mm gun offered a range of APHE and smoke shells. The 37mm was capable of an elevation of 20 degrees and depression of -15 degrees. The mount itself also offered a horizontal traverse of 20 degrees. The 37mm gun could also be used as a ranging device for the main cannon, however this most likely would not have been needed due to the high velocity of the main gun. Outline of the Ho-Ri design I. Technically entered modified construction of one of the 3 Chi-Ri units. The development of the Ho-Ri design was split into two concepts. One being a rear mounted superstructure on the Chi-Ri chassis with a central stationed engine, and the other having a centralized superstructure with a rear engine placement. The Ho-Ri engine selection was different from the traditional diesel that the Army had kept with for most of their tank production. Japan used a BMW designed gasoline V12 aircraft engine . The main reason for this change was due to industrial capacity of Japan reaching its peak, aircraft development was still a heavy priority and many assets were available for useage. The output of the tank was 550hp/1500rpm. The Ho-Ri II’s design also enabled the option of adding a 20mm AA station on the rear hatch for additional protection. However, the likelihood of it being useful is up for debate. 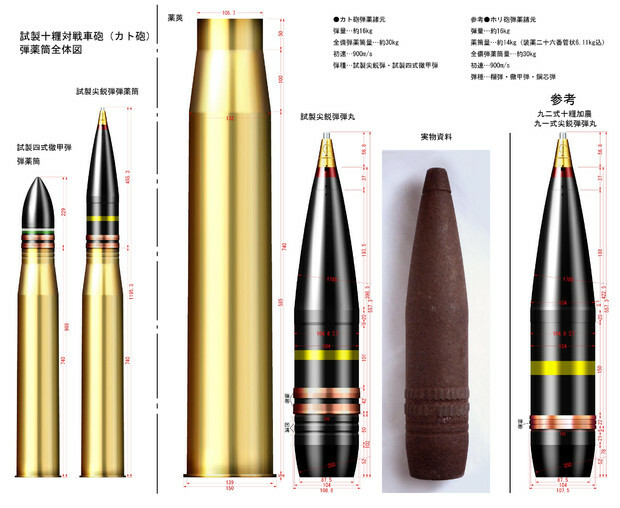 In addition, central placement of the superstructure enabled 60 rounds for the main cannon to be stored instead of the Ho-Ri I’s 40 rounds. Scans of Ho-Ri II in Maru Magazine. In terms of armour, both vehicles were to keep the Chi-Ri hull, hence the maximum frontal armour of these tanks was only 75mm. On the superstructure, however, armor thickness was increased to 100mm. By the time both designs, which had been developed in parallel, were presented to Army General Staff it was too late; the war was almost over, and the thickness of the armor was no longer sufficient against US armaments. Nevertheless, the design showed promise. Thus, while neither design was chosen for production, the Ho-Ri I was adopted as the main influence for the third revision of the tank. This third vehicle is commonly labeled as Ho-Ri III. Technically, however, none of the Ho-Ri vehicles were numerically designated. 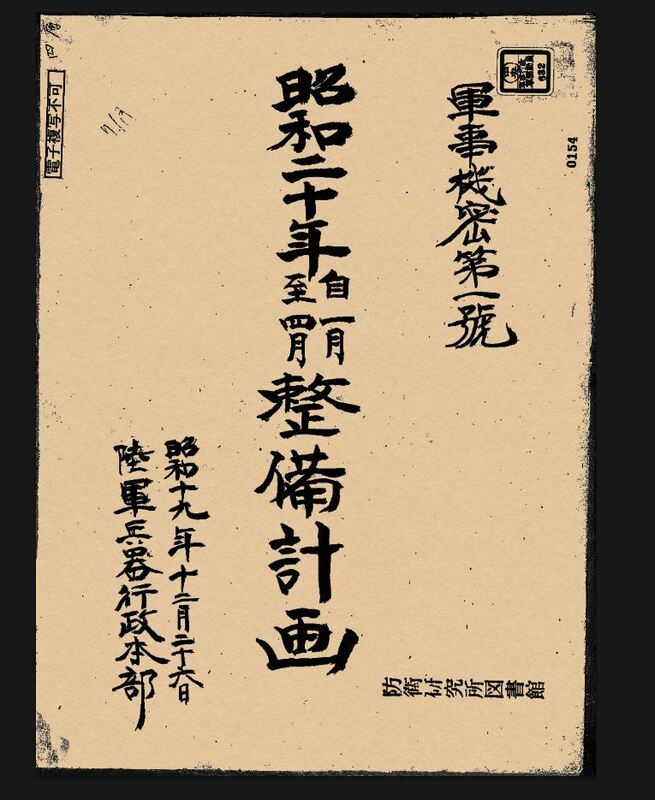 Ho-Ri III took the basis of the Ho-Ri I, and revamped it to fit the needs of the military. The frontal plate of the tank was sloped at a 70 degree angle and increased to 120mm thickness. In this configuration, the tank was capable of withstanding most anti tank measures the Unites States could bring to the home islands of Japan. 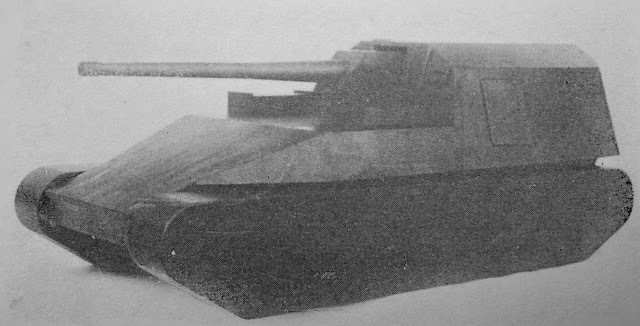 The designers of the tank built a wooden mockup form of the revision 3 design and presented it to the general staff, at an unknown date. The Ho-Ri kept its general composition the same as the prior designs, but this change was what the Army Staff ultimately decided to go with and schedule the Ho-Ri for prototype construction. The tank would have a crew total of 6; driver, gunner, two loaders, radio operator, and commander. The past designs made use of the 37mm that the Chi-Ri hull had present, however, with the chosen slope change on the Ho-Ri III, this was no longer present and a crew member spot was open. The 6th crew member was placed as the second loader to assist with the autoloading mechanism and provide shells for the primary loader. Ho-Ri III outline. Labeled incorrectly as Ho-Ri I due to the rear mounted superstructure. The construction of the prototype was completed in 1944. The tank achieved a speed of 40kmh during the trials. The tests were seen as a success, resulting in the Army ordering 5 units of the tank. The tank was put in service as the Type5 Ho-Ri, as the production model started in 1945. However, by the time of the war's end, the series of tanks only made it to 50% completion. Only one operable prototype had been completed fully. Reports of the trial are still being processed at this time [11/15/16]. My research continues. I have been spending days now trying to go through everything and get the details of the tank out to the light. Once all the documents are collected together and organized, translated, and put back together I will write a follow up article to this. Fantastic article! I love learning about abstruse vehicles such as this. I love this, I think this your best article so far! I look forward to reading the follow up article. I don't usually like casemate tank destroyers, but I have to make an exception for this, the two designs are really interesting and I hope they both get implemented in War Thunder. Fascinating read. I love Japanese vehicles, such a shame that they are almost universaly badly/incorrectly documented. Someones outta go around and fix the information for these on wikipedia etc, I wonder how many things I don't know or know incorrectly about thede vehicles, hell, the wikipedia subarticle on Ho-Ri claims "no prototypes built" and labels the wooden Ho-Ri III model as Ho-Ri 1, and doesn't even aknowledge the existence of a version III. Where do you get your sources for all of these fantastic articles? this was very insightful seeing as the information i had previously read on this td could not be more then 2 paragraphs. looking forward to your future posts. Wait, so every Ho-Ri design was made??? No, just Ho-Ri III. The other two did not meet the requirements. Atleast, that's how I read it. Are you sure the Ho-Ri III wooden model and Ho-Ri III outline are the same tank? the outline has a different mantlet and top. The outline is an artist's representation of the prototype. I see, thank you for the clarification and great research. Great article about the Ho-Ri. I never knew that there were three versions, and always assumed that the wooden mockup was just a simplified Ho-Ri 1. What was the armor like on the rest this tank destroyer? Previously I heard 125mm on the front hull, 250mm on the superstructure, and only 35-50mm on the sides and rear. So, what's the difference between the prototype and the production model? Fantastic article, thank you, keep at it, it beats articles about the different bolt size on a Tiger tank, yaaawn! Did you find pictures of the Ho-Ri III prototype.